1945: a land fit for heroes – this time? The Melting Shop presents a powerful and engaging story of a post-war Yorkshire mining family for the Greater Manchester Fringe, coming to terms with their rapidly changing world and a new Britain; told with warmth, humour and authenticity. Tom Mason returns from the war to the arms of his grateful mother and fiancée – and to the bosom of the pit. His father George fights his own battles and an election to secure a better future for his union men and their families. Connie mourns, loves and unites while Liz sees a new world, brim-full of opportunity. 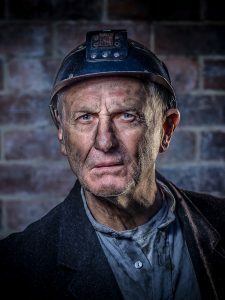 ‘On Behalf of The People’ is based on true stories and extensive research and was originally commissioned by the National Coal Mining Museum for England.